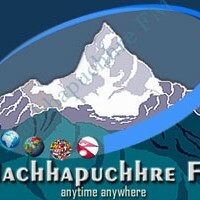 The vision of Machhapuchhre FM is to bring Nepali radio to Nepalese living and working all over the world. Newly formed in November 2005, it is their desire to serve the Nepali community everywhere. Currently they are playing programmes originally broadcast in Nepal together with music from both the West and the East. They are here to serve their listeners and your views and comments are vitally important to enable us to give you the service you need. This is only the beginning. In the future they hope to bring you up-to-date international news, features and comments on happenings in Nepal and the rest of the world as it effects the daily lives of everyone. This will take time, so be patient and keep listening.